Most people don’t know that I don’t cook meat, only fish and veggies, and as such I am completely sympathetic to the vegetarian & vegan “cause”. 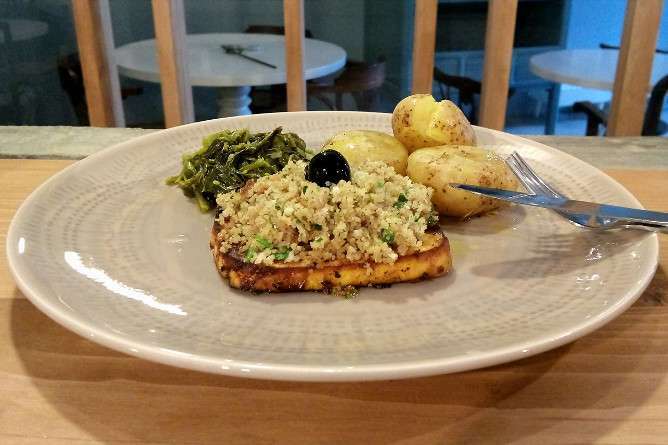 daTerra is by far one of my favourite vegetarian restaurants in Porto. 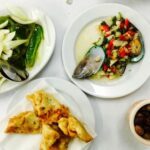 This stylish restaurant has a buffet where you can find delicious soups, creative starters (such as several hummus and veggies’ shots) and amazing dishes that go way beyond the traditional soy steaks and the like. At lunch you pay 7,5€ for the buffet, and at night it’s 12,5€. 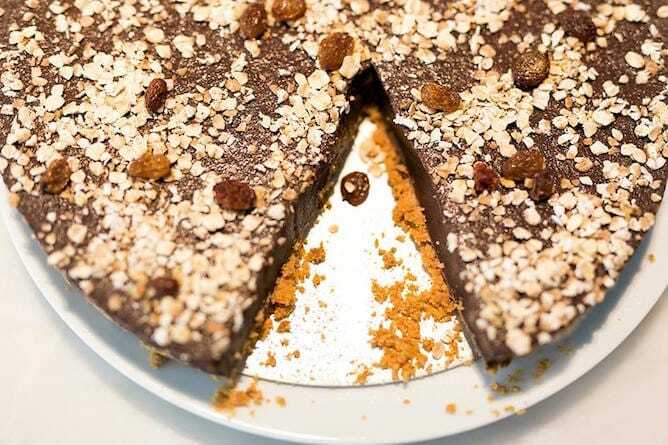 Drinks, such as the fantastic fresh juices, and vegetarian desserts (you MUST try the açai pie! ), are paid separately. Important note: daTerra only takes cash, no cards! Also, this restaurant has a take away service. How to get there: daTerra is 2min walking distance from the famous São Bento train station. There’s a subway station with the same name. Rua de Pedro Hispano 1190, Porto | Mon-Sat midday to 3pm + 20pm-22.30pm. Closes on Sundays. 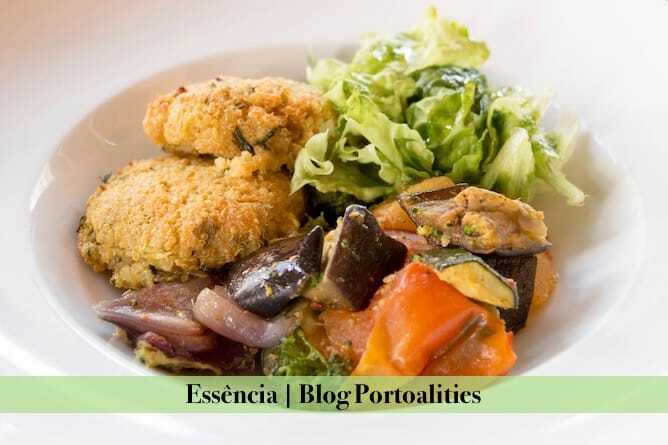 Essência is always on the top of the list of the best vegetarian restaurants in Porto, and one can easily understand why. 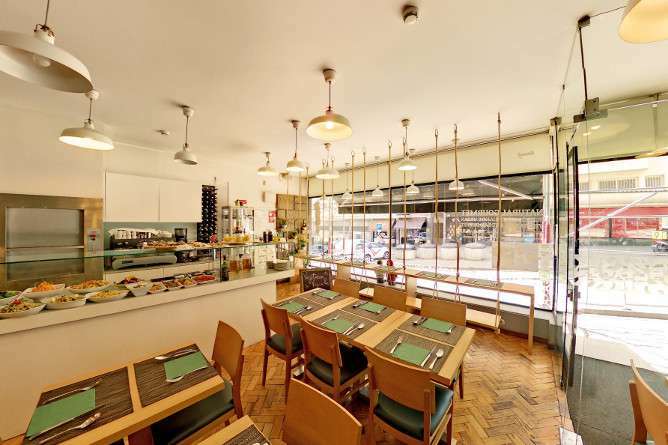 The space itself is incredibly nice – a large, airy room, a huge terrace for the sunny days, and an attentive service. 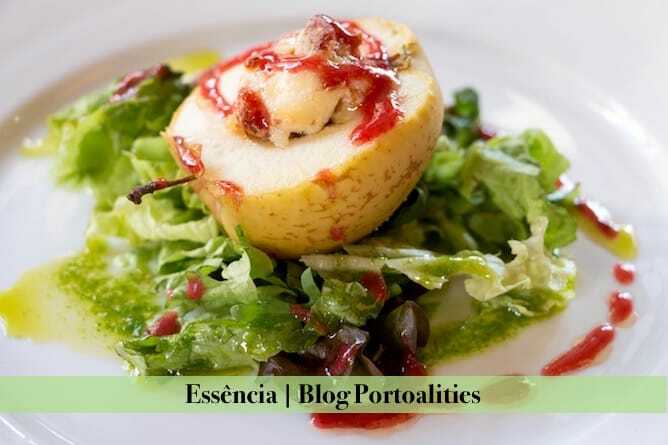 How to get there: Essência is 10min walking distance from the subway station Francos. Personally, I wouldn’t use this station at night – it’s better to take a taxi or an Uber. 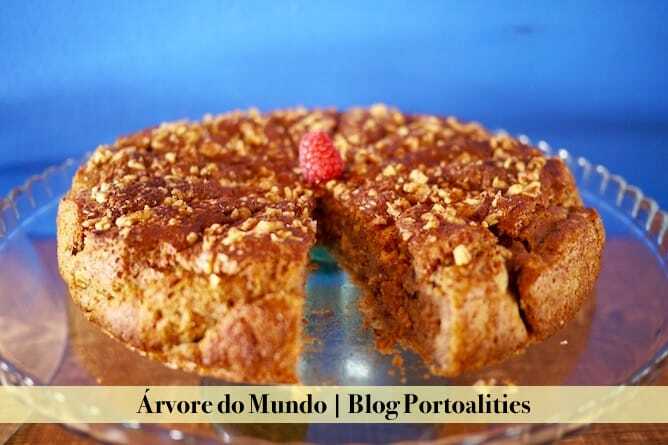 Árvore do Mundo is a complete hole in the wall, it’s the best way to describe it! This cute little restaurant opened a couple of months ago to quickly become one of my favourite vegetarian restaurants in Porto. Everyday there’s a vegetarian lunch menu (starter, soup, main dish and drink) for 8€. I highly recommend you to try its fabulous vegetarian desserts, such as the banana and carob mousse and the almond and date pudding. 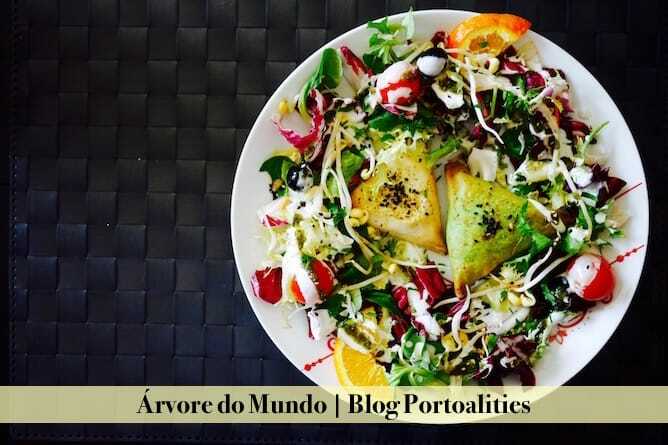 On Fridays and Saturdays, Árvore do Mundo serves vegetarian dinner menus for 12,5€. 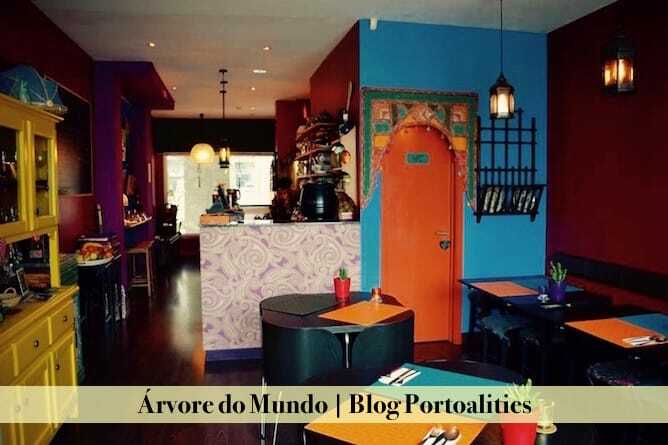 At Árvore do Mundo you cannot use cards – you have to pay by cash! You get a menu card – after 10 menus, it offers you an extra one. How to get there: Árvore do Mundo is 10min walking distance from the famous São Bento train station. There’s a subway station with the same name. 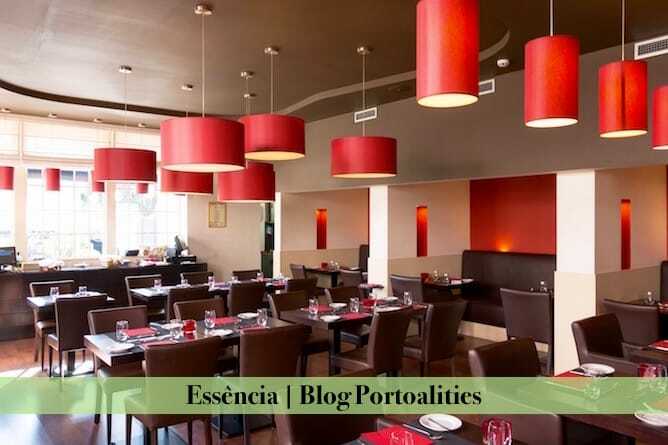 Rua de São Miguel 19, Porto | Lunch everyday (Mon-Sat), Dinner only Friday and Saturdays. Closes on Sundays. Oriente no Porto was one of the first vegetarian restaurants in Porto that I went to, many years ago, and I loved it. 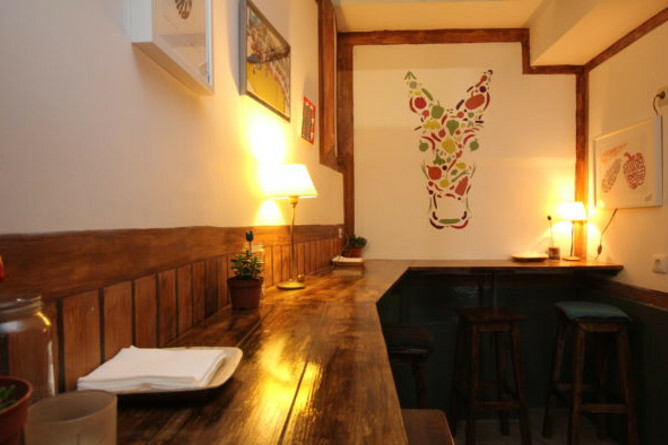 This cozy and unpretentious vegetarian restaurant, at the heart of the old Jewish neighbourhood in Porto, is a cutie. 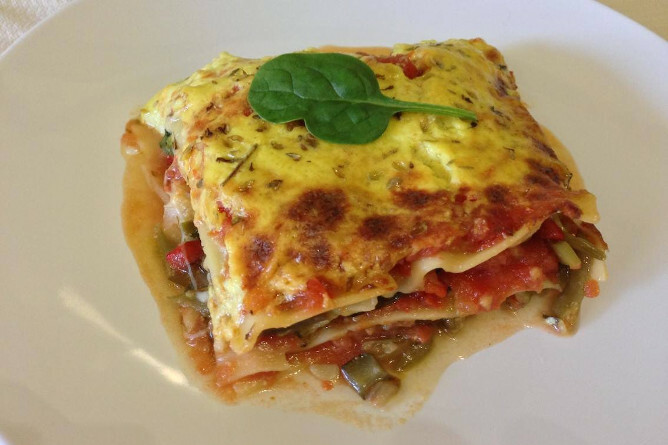 It serves a single vegetarian dish over lunch, wonderfully prepared. 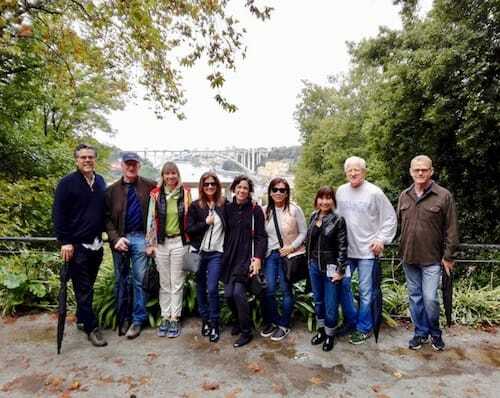 How to get there: Oriente no Porto is 10min walking distance from the famous São Bento train station. There’s a subway station with the same name. My favourite one is the spinach and tofu patty. And have I mentioned the delicious vegan desserts, such as the gluten free cupcakes and the decadent peanut butter raw cheesecake? 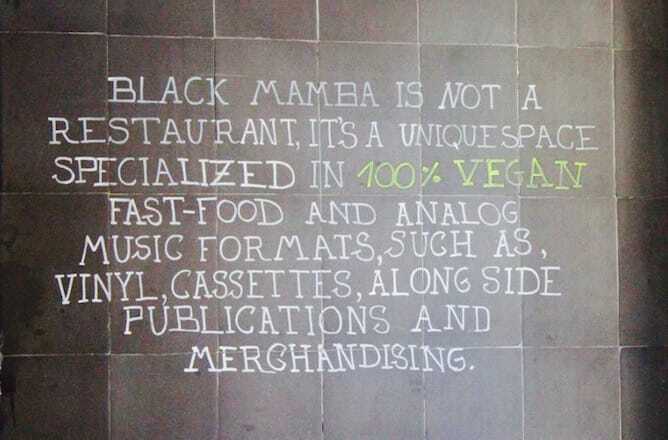 Black Mamba is definitely the best option if you’re looking for a quick vegan snack in Porto – it’ll soon introduce vegan sausage rools and vegan wraps – at an affordable price. How to get there: Black Mamba is 10min walking distance from the subway stations Trindade and Aliados. Suribachi is one of the oldest vegetarian restaurants in Porto, as you can feel by the old fashioned decor and, in my opinion, the lack of proper lightning. 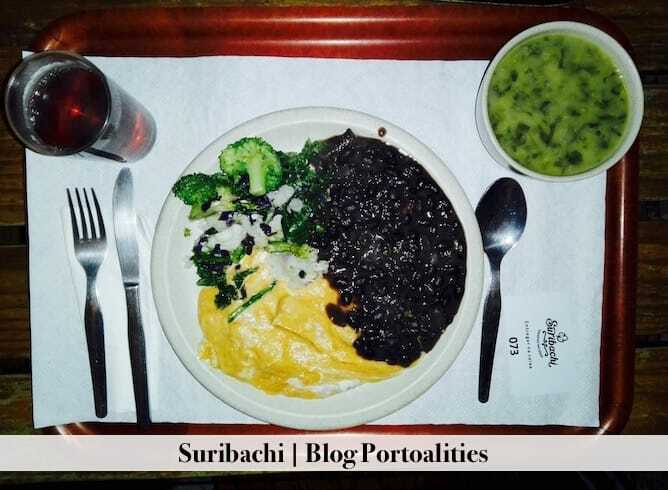 At Suribachi you can find a cheap vegetarian lunch menu for 6,5€ (drink, dish of the day and soup), which is really cool. Besides the vegetarian lunch menu, you can order cold vegetarian finger food (like seaweed croquettes) and several vegetarian desserts. 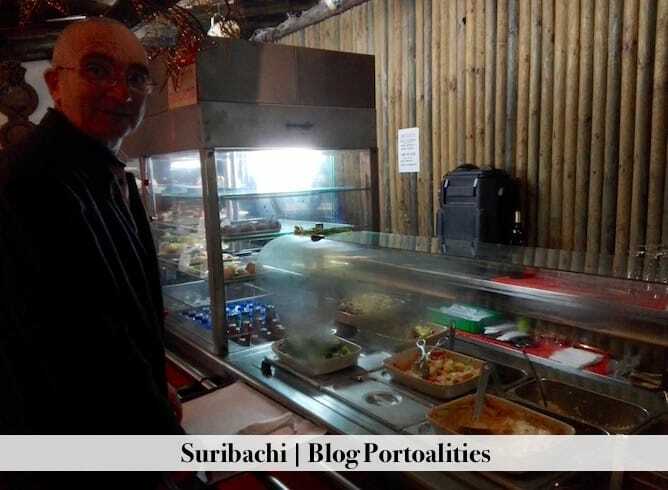 There’s not much variety and so I’d say Suribachi is a good vegetarian restaurant in Porto for a budget menu. 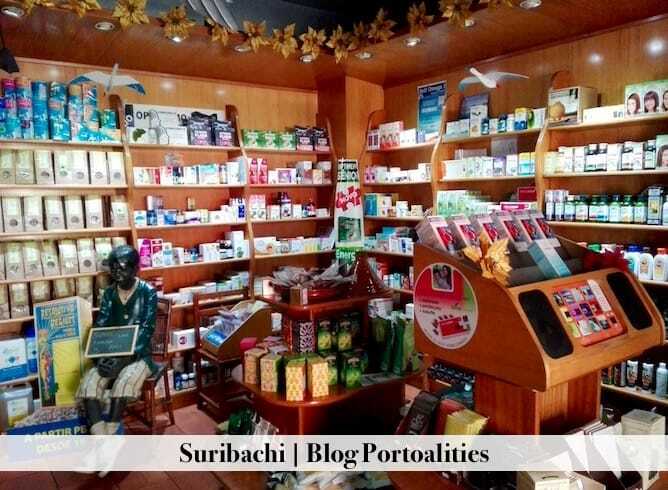 At the front of Suribachi there is a large store with a wide selection of vegetarian, vegan and macrobiotic products (food, beauty and health). 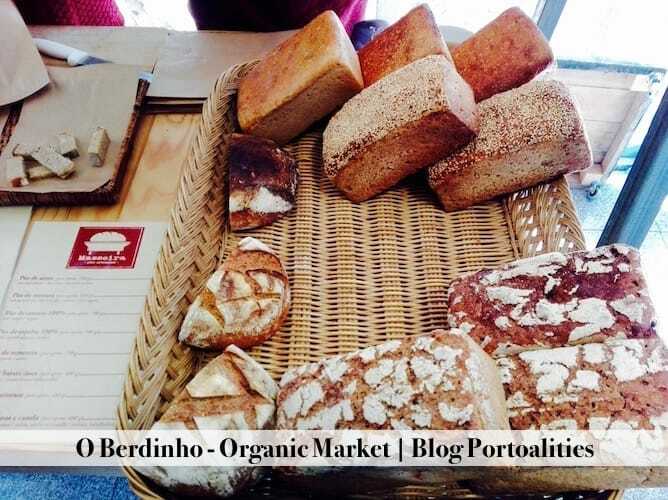 At Suribachi you can also order organic bread – try the rice bread, it’s divine and quite famous in Porto! How to get there: Suribachi is 2min walking distance from the subway station 24 Agosto. 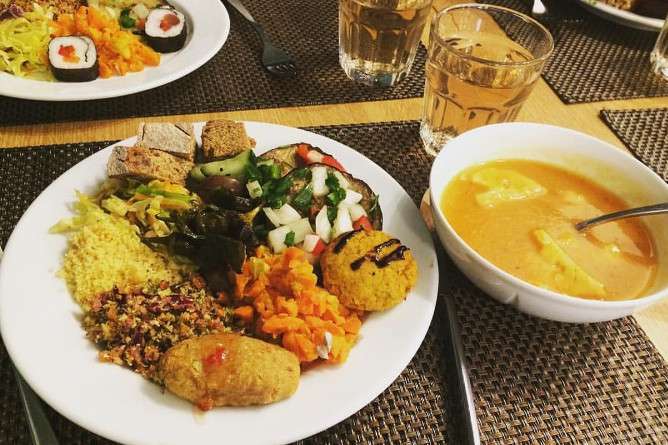 Cultura de Sabores is one of the few buffet-style vegetarian restaurants in Porto. The interior transmits garden vibes which are evident in the swings you see through the restaurant windows. (But let’s be honest, the swings are a cute touch, but they’re not the most comfortable to sit on while eating!). 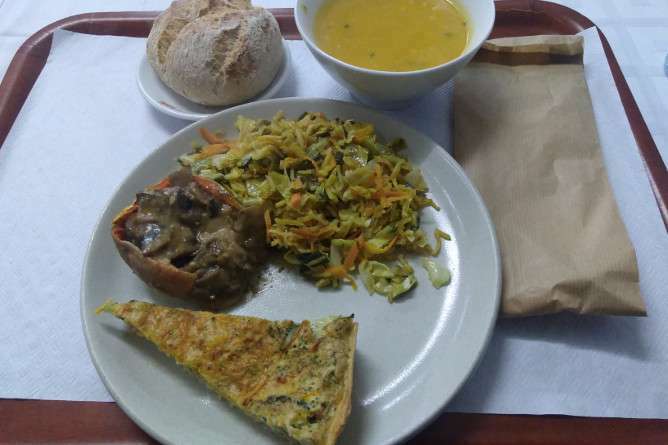 The lunch menu costs €8.95 and it includes soup, entries, main dish, side dishes and tea. They serve lunch from 11am to 3pm and dinner from 7 pm to 11 pm. I recommend you go early because they tend to run out of food. You can get a frequent client punch card, so your 10th buffet is for free. 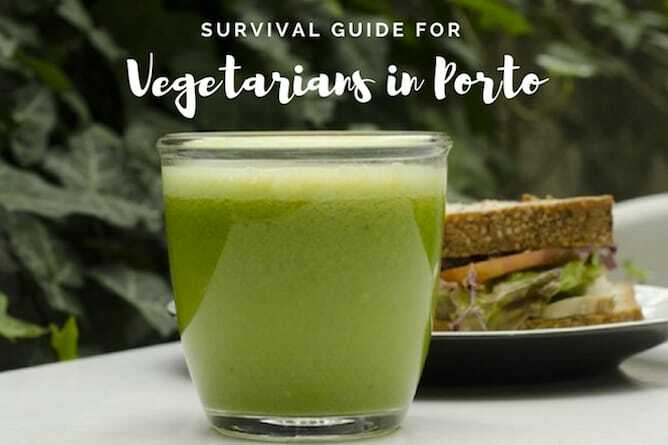 Even though Óbio prides themselves on being an organic coffee shop, they do have many vegan and vegetarian options and hence it is worth to include it on this list of the best vegetarian restaurants in Porto. You can choose to eat outside, but the restaurant setting on the interior is beautiful. The way the food is served shows that a lot of care and attention have been given to your order. 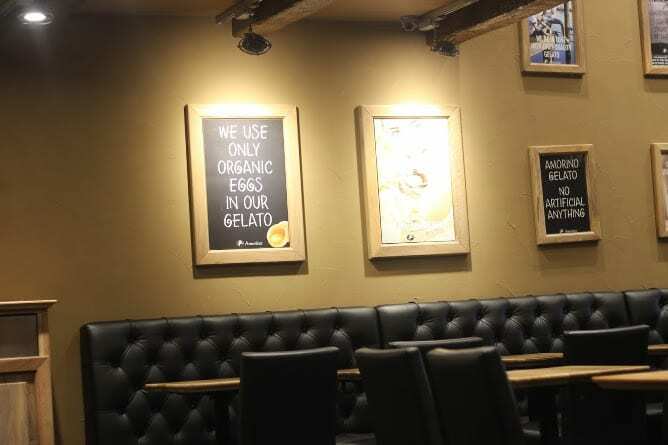 I recommend you try the smoothies bowls, the yogurts with granola or the egg toast with a cup of coffee. Last but not least: it serves brunch every single day of the week! How to get there: 24 de Agosto subway station is a 7min walking distance. 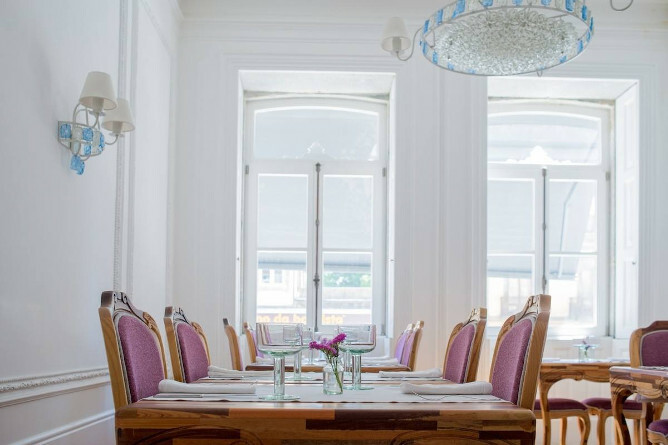 When you enter this restaurant you can’t help but notice the stunning 18th century neoclassical-like interior and the amazing and spacious outdoor seating area. 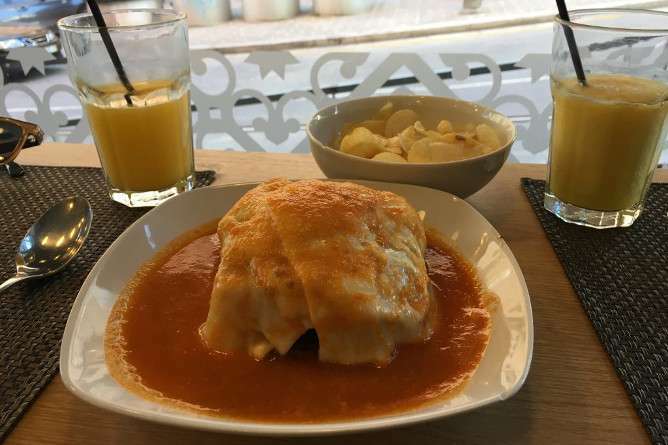 The concept is about making vegetarian/vegan versions of Portuguese traditional dishes like the famous francesinha (€11), alheira – a Portuguese type of sausage (€13.50), lagareiro – a dish made with octopus but substituted with tofu (€15.60). Even though most of the meals are vegetarian, they do have many vegan options which are well-labeled on the menu. To be honest we are personally against recreating traditional dishes with vegan ingredients, but this concept seems to appeal to a lot of people! We wouldn’t recommend going “full on” with the menu because, honestly, it is very expensive! How to get there: Casa da Música subway station is an 8min walking distance. 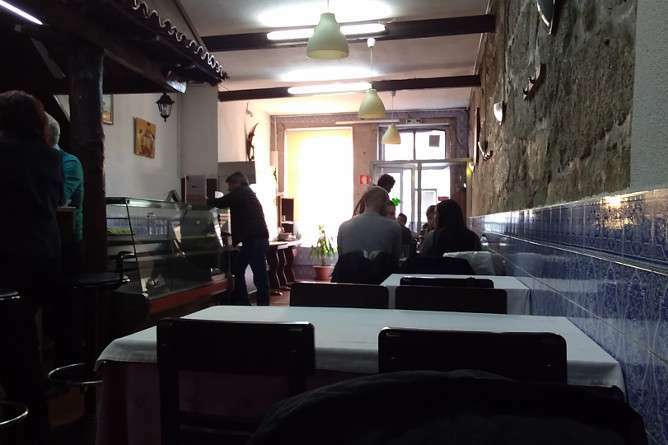 If you’re looking for cheap vegetarian restaurants in Porto, Salpicos Verdes is for you. It’s a small traditional-looking restaurant with cute interior blue azulejos tiles. For €5.50, you get soup, main course, bread and a drink. But if you’re hungry for more, go for the €7 option which will give you soup, main course, juice of the day (which is always fresh) and a salad. How to get there: Marquês subway station is a 6min walking distance. 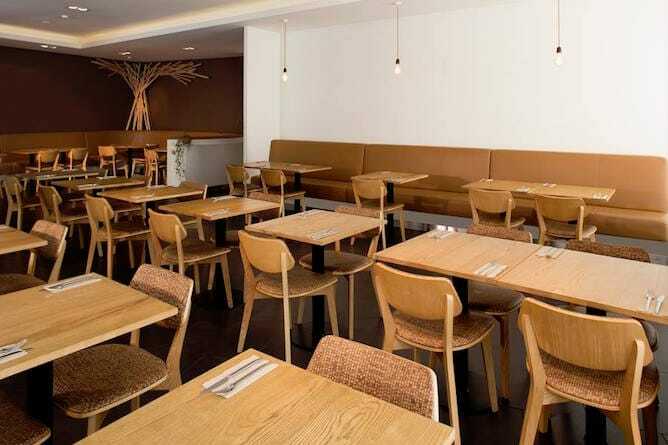 Marcel and Georges is not only a great place for vegetarians in Porto, but it’s also an excellent choice for those who want to eat locally sourced organic food. The interior is a cute narrow and cozy space with an option to eat outside, but most importantly, the food is tasty. 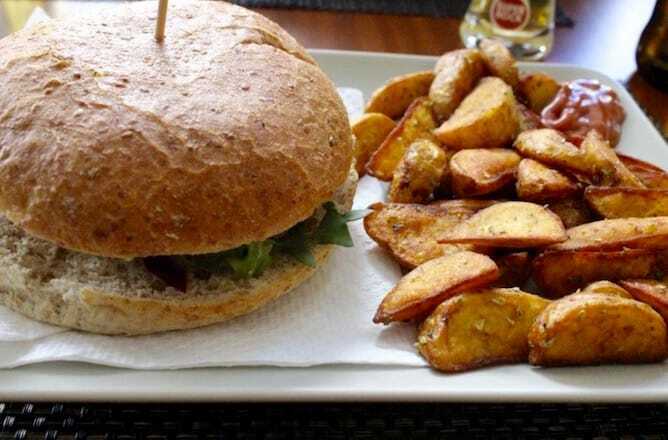 The lunch menu costs €8 with an appetizer, main course, drink and coffee. 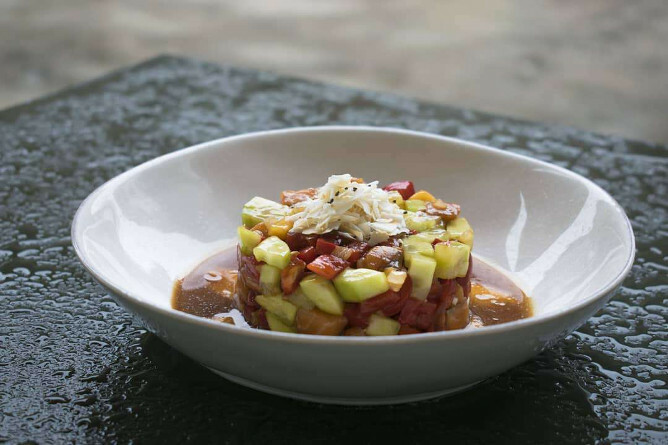 For dinner, €12 will get you an appetizer, main course, drink, dessert and coffee. It’s a really special place to go, especially at night because of the atmosphere (and of course, because dessert is included in the menu!). How to get there: São Bento subway station is a 9min walking distance. 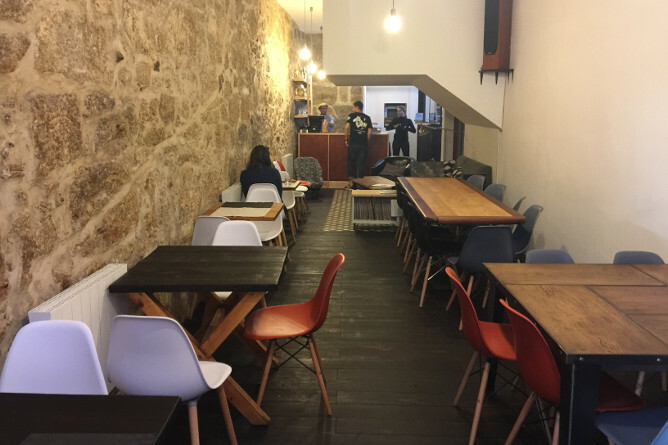 Finally, the city has a cat coffee which is also one of the few vegan restaurants in Porto! The interior is beautifully decorated, but the decor is not the only thing that makes me want to stay here longer, it’s the beloved felines! The cats have their own separate room which you’re not allowed to bring food in. However, some of the cats like to roam in the outdoor area where you can sit and eat. By the way, all the cats are up for adoption. Regarding the food, I have yet to try something I don’t like from O Porto dos Gatos. The lunch menu costs between €5.5 to €8.5 and it includes soup, an appetizer, the main dish and a tall glass of tea which you can order hot or cold. My favorite things to eat here are the vegan lasagna and the vegan hot dogs, I also love their soups and their tofu-bean salad. In my opinion, they excel in the dessert department, especially the baked goods. 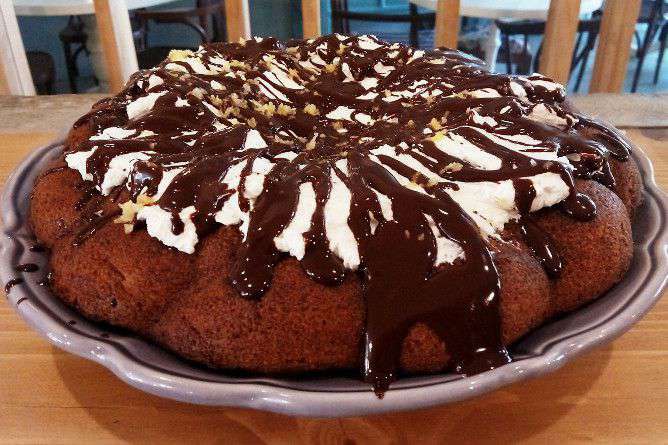 O Porto dos Gatos is also a great place to go out for coffee with friends while you snack on some toast or a slice of vegan cake. How to get there: Heroísmo subway station is a 5min walking distance. Nola Kitchen is not exactly one of the vegetarian restaurants in Porto, but more like a great spot for healthy food. After all, processed foods and refined sugars & flours have no place in here. 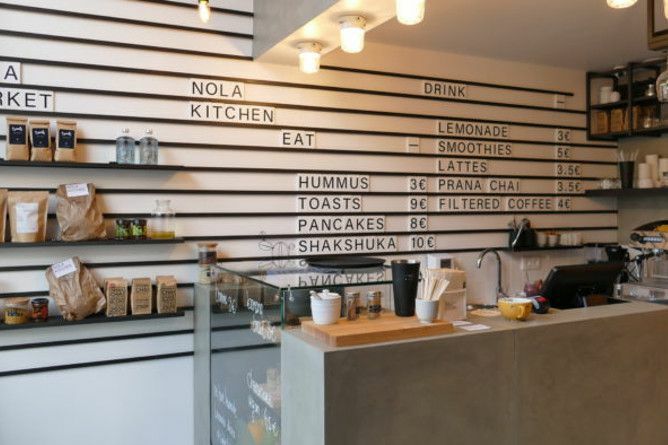 They have great juices and smoothies as well as toasts with homemade dips (I particularly enjoy the sweet potato one), pancakes, energy balls and the Israeli shakshuka. One thing I found terribly disappointing when I went to the Nola Kitchen for brunch is that it took a. really. long. time. for them to serve pancakes. 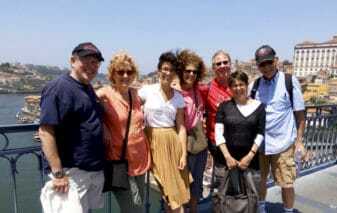 Moreover, the prices are clearly targeted at tourists and not at our humble, Portuguese pockets. How to get there: Aliados subway station is a 3min walking distance. 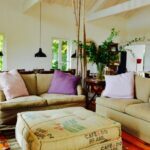 With French owners Léa & Capucine at The Happy Nest, you’ll surely feel at home. Even though they’re not 100% vegetarian/vegan, they do have great options for no-meat/no dairy eaters. 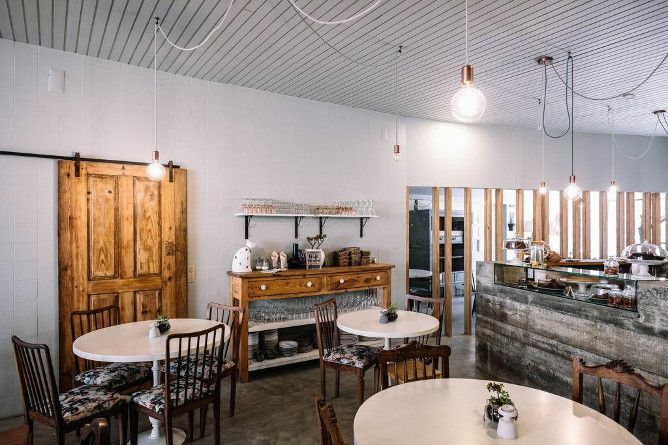 Another thing I love about the Happy Nest is that they work with many local bakers to create yummy treats with at least one vegan option (try the flourless vegan carrot cake or the American cookies, you won’t regret!). 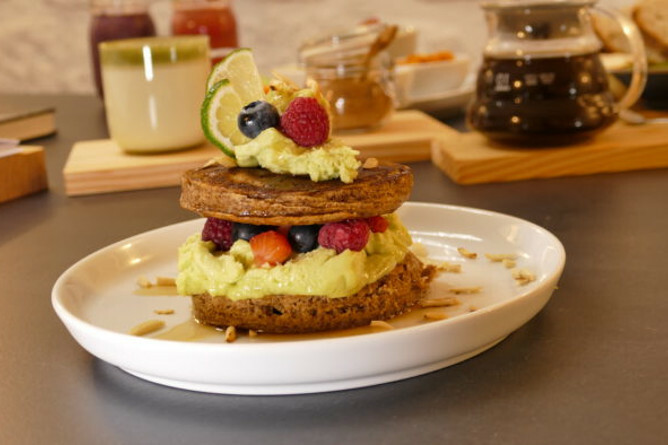 This is also a great place to have brunch which they serve on the weekends and it includes a hot and a cold drink, croissant, avocado toast with cherry tomatoes and feta cheese, a yogurt bowl with granola & fruits, and a cookie. The Happy Nest sometimes host many events and workshops with the brunch included. 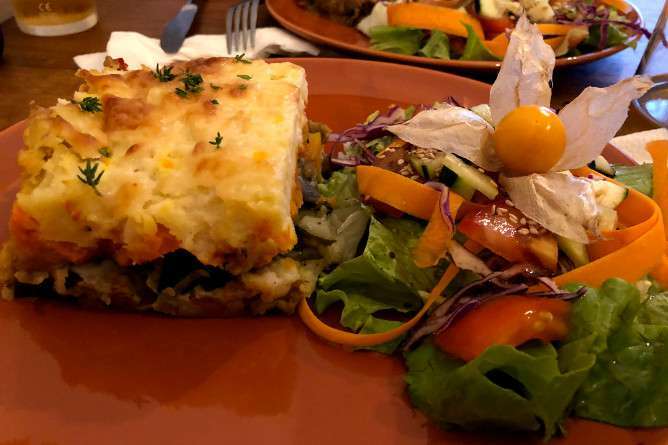 We’re excited to add a Mexican food place to our list of the best vegetarian restaurants in Porto! In O Burrito, the interior is small, almost like an old-school tavern, but very inviting. 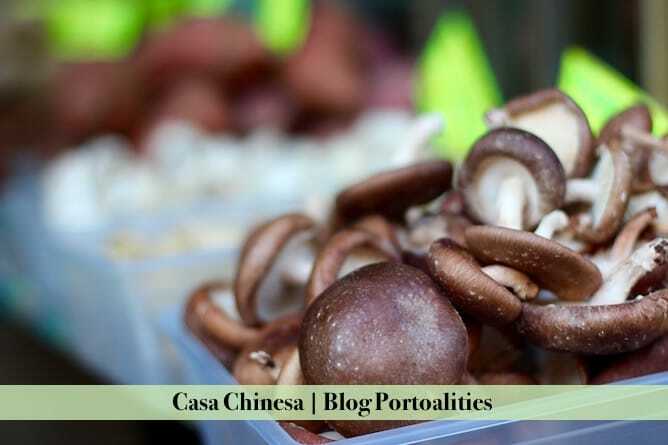 For starters, you have the choice between soup, black bean quesadilla or mushroom quesadilla (€3.50€ – €4.25), both have cashew cheese and both are very delicious. 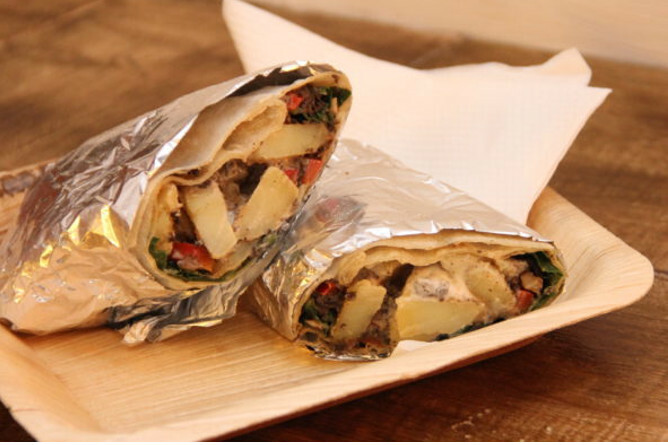 The restaurant serves different types of hot and cold burritos with prices ranging from €4.50 to €5.50 with protein bases including tofu, soya mince, lentils and chickpeas. You can also order nachos on the side with different dips like hummus or salsa. For those who have a sweet tooth, you can try their new vegan Snicker bars! Some days, the service at O Burrito might be slow, but you have to keep in mind that this is a small-business restaurant and not a franchise. How to get there: Trindade subway station is a 10min walking distance. Well, this is not a restaurant, but an ice cream shop because we figured a survival guide for vegetarians in Porto wouldn’t be complete without including ice cream. Even though vegetarians can eat ice creams anywhere, vegans can’t. That’s why Amorino is a great option if you don’t consume dairy. 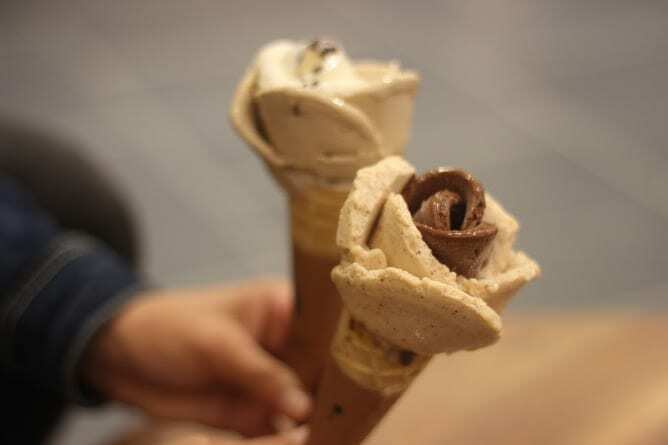 They have a huge selection of dairy-free ice creams like the delicious dark chocolate, almond or peanut butter. They even have a great selection of fruit flavors like strawberry and mango. 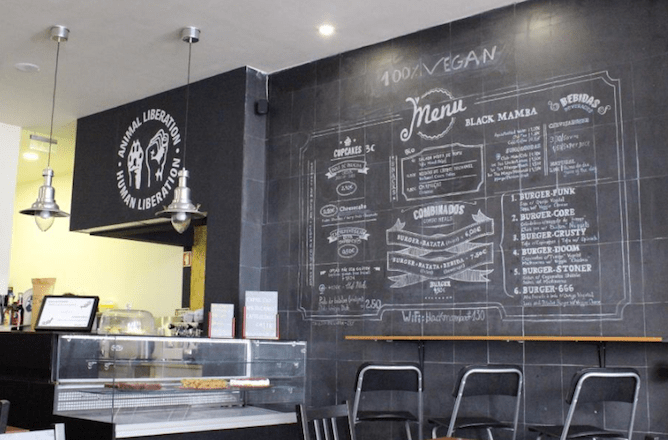 If you want to know where you can eat more vegan ice creams, read our best ice creams in Porto article, we have a few more options for you. How to get there: take the subway to São Bento. Amorino is an 8min walking distance. One of my besties recently showed me an organic shop in Porto that is a dream come true. It is called Maçaroca and it is not in the city centre (you need to take an UBER to get there). 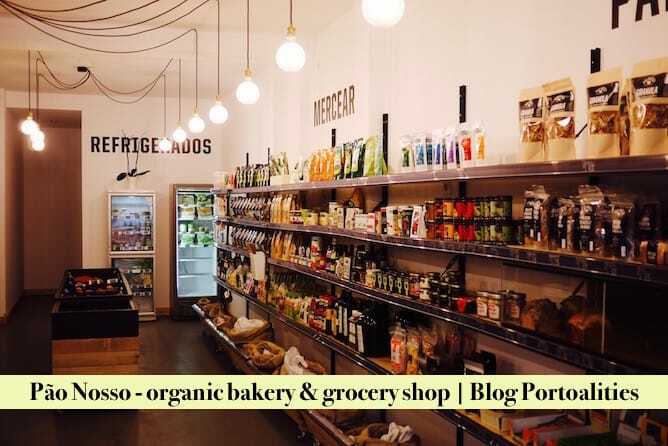 A supermarket with organic ingredients coming from all around the world, which includes a massive refrigerated wall with pre made meals, tofu, seitan, etc. 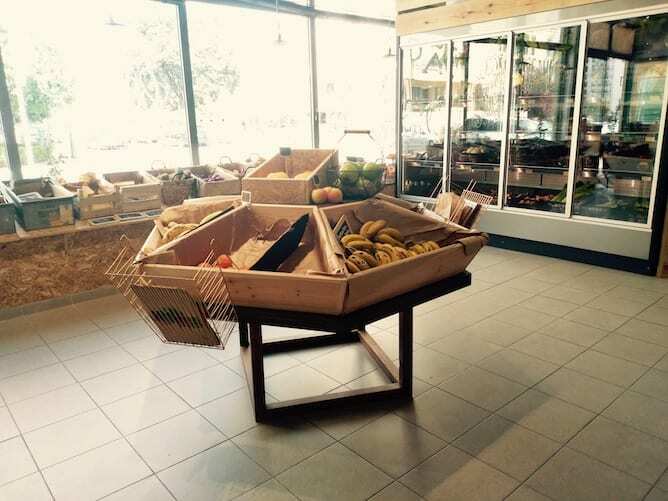 A small grocery shop where you can buy organic fresh fruits and vegetables. 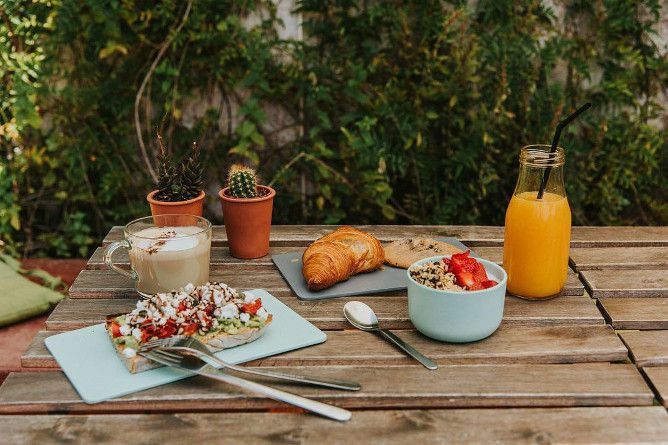 A small cafe where you can get amazing organic coffee, dark bread toast with organic peanut butter and other snacks of the like. You can also have light meals after noon. 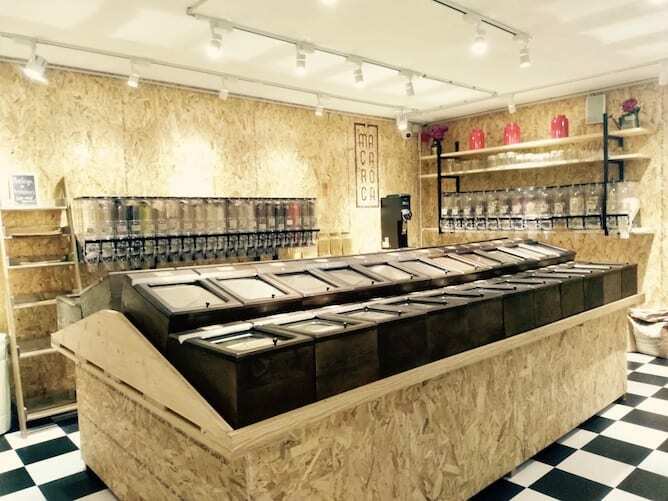 An amazing room where you can buy all different cereals and dried fruits in bulk, which is something that I have been looking for a while as I want to reduce my plastic consumption. This includes quinoas, rolled oats, eight different varieties of rice and you can even make your own peanut butter on the spot, isn’t that great? As I’ve told you on the post about the grocery shops of Porto, it’s possible to buy the most exquisite food products at Casa Chinesa. 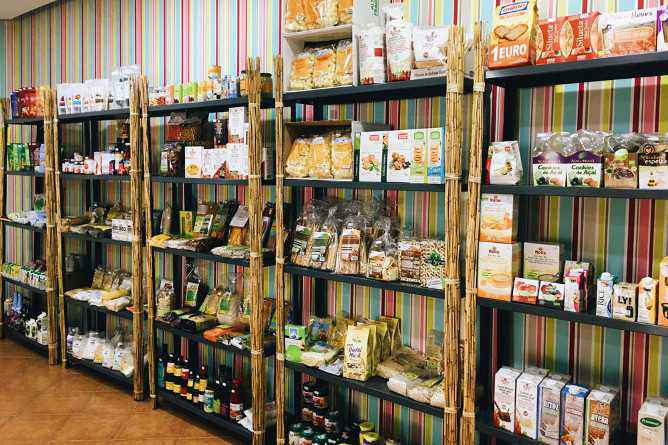 This grocery store has a large selection of vegetarian, vegan and macrobiotic food products that will please the most demanding palate! 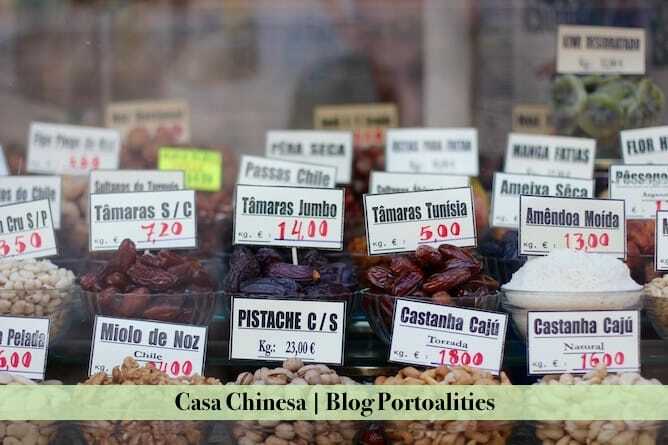 How to get there: Casa Chinesa is 3min walking distance from the subway station Bolhão. 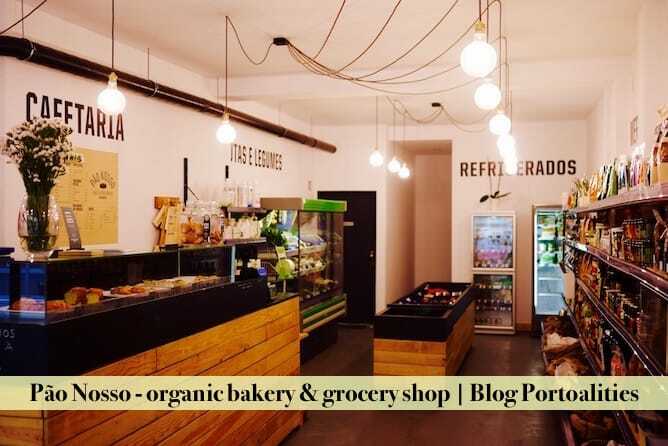 Raw is an organic shop in Porto perfect to buy in bulk dried fruits and nuts, whole grains, gluten free flours and other delicious ingredients to prepare an amazing vegetarian or vegan dish. 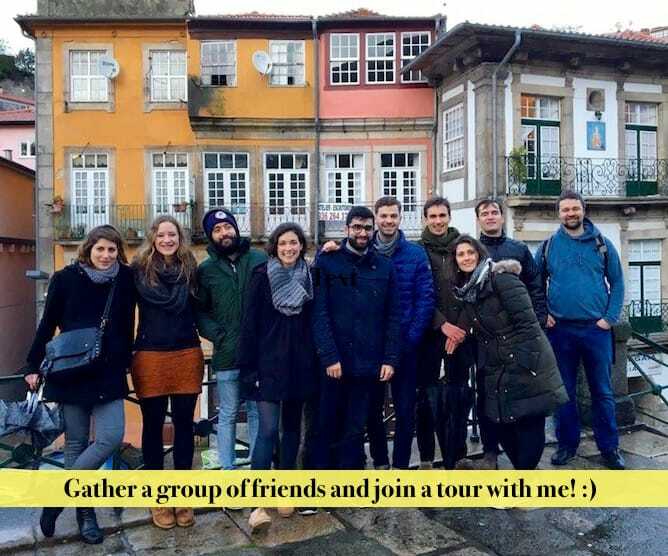 How to get there: Raw is not at Downtown Porto, but in Matosinhos. 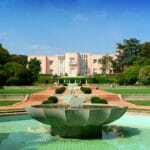 To go there, simply take the blue subway line (direction: Senhor de Matosinhos) and leave at the station Matosinhos Sul. 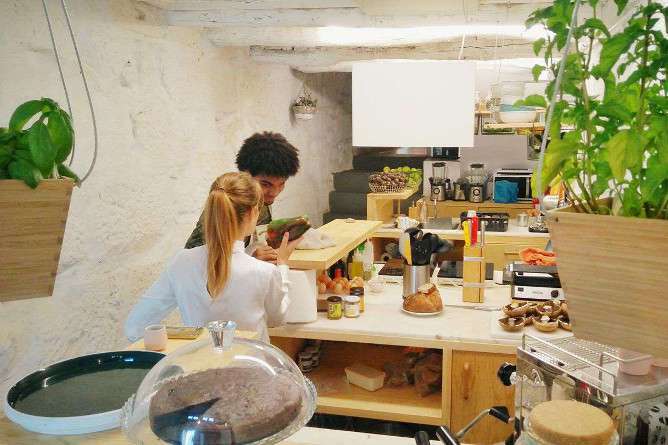 Pão Nosso is an organic shop in Porto. 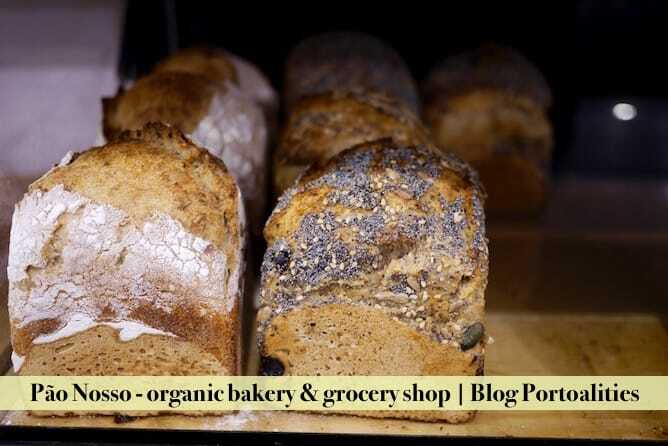 Twice a day they have 12 organic bread varieties coming straight from the oven to the shelves, including two gluten free breads (amaranth and carob). 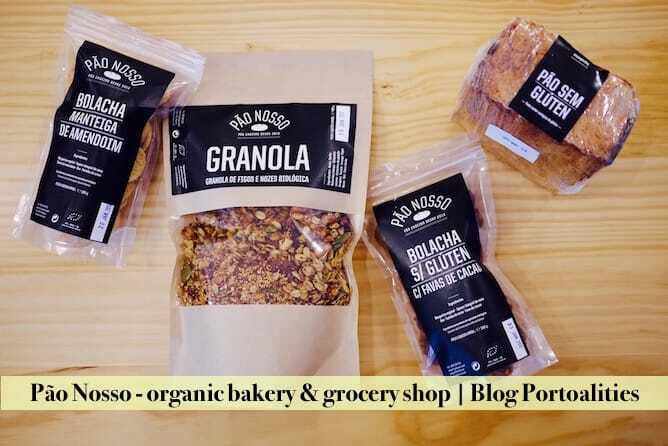 At Pão Nosso you can also find an amazing home made granola and lovely biscuits, as well as fresh fruits and vegetables. 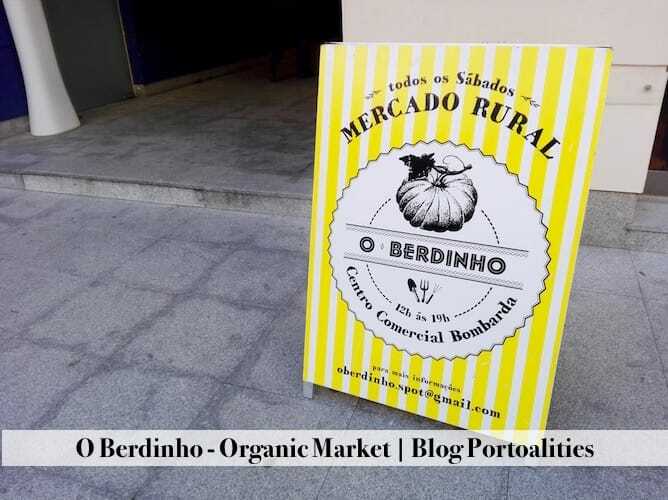 Last but not least, this organic shop in Porto is also a great place to buy organic food products in general. 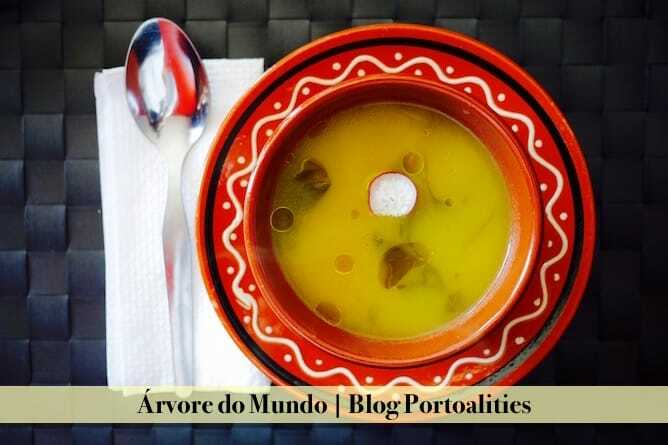 At Pão Nosso you can get soup, bread with olive oil and balsamic vinegar and seasonal fruit for 3€ at lunch. It’s a bargain! How to get there: Pão Nosso is 5min walking distance from the subway station 24 Agosto. 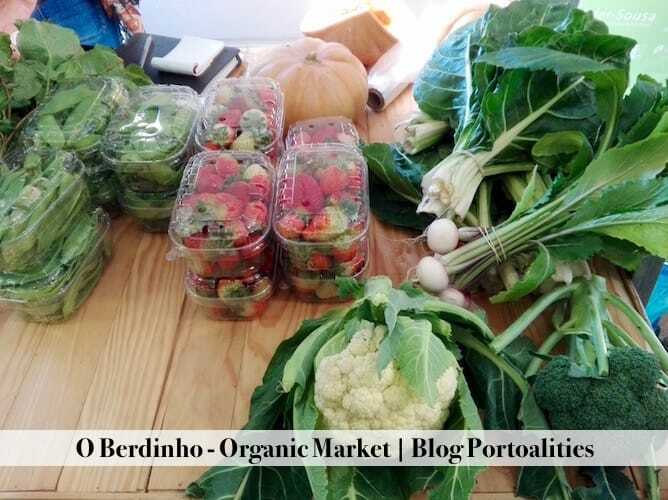 Berdinho takes place every Saturday from midday to 7pm, rain or shine, on a cute little shopping mall where you can also have vegetarian meals at a restaurant called Sabores & Açores. I just find it irresistible! How to get there: Centro Comercial Bombarda is 15min walking distance from the subway station Aliados. 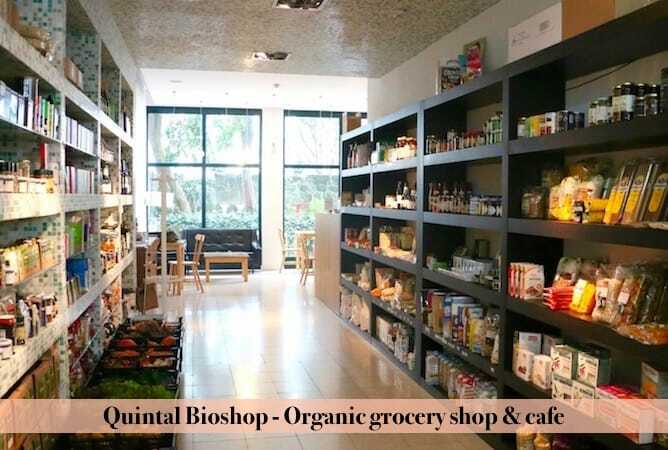 I first went to Quintal Bioshop during an origami meeting a few years ago. 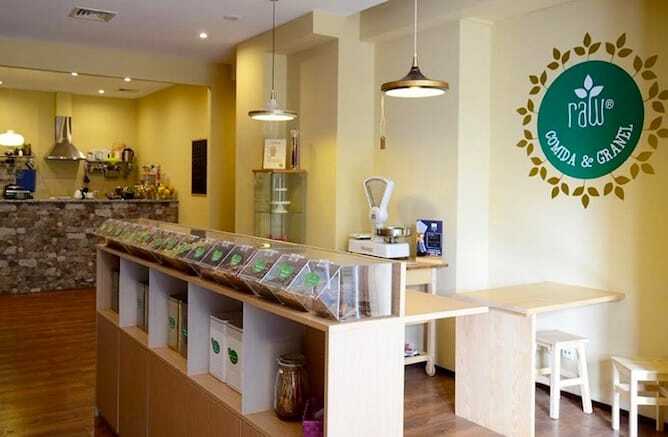 Since then, I keep visiting this nice little place that combines an organic shop (with a wide selection of vegetarian & vegan food products) and a little cafe. 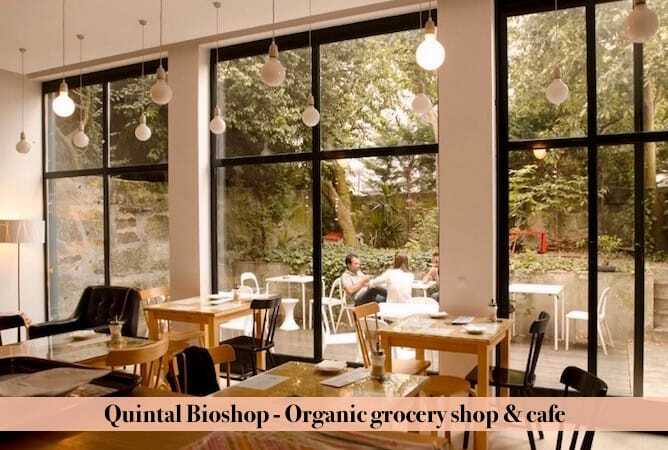 Moreover, Quintal Bioshop regularly organises workshops that range from organic makeup, healing aromas and vegan cuisine. 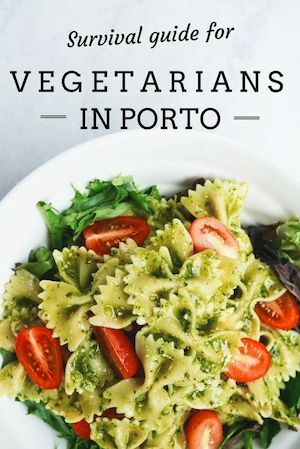 It’s one of those places that you must keep under the radar as they’re very active in the vegetarian community of Porto! I was wandering the streets of Porto looking for tempeh and I finally found it here, in Vegana by Tentúgal. 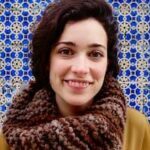 The owner, Márcia, is warm and welcoming. She takes care of everything in the store from serving clients to cashier and cleaning duties. 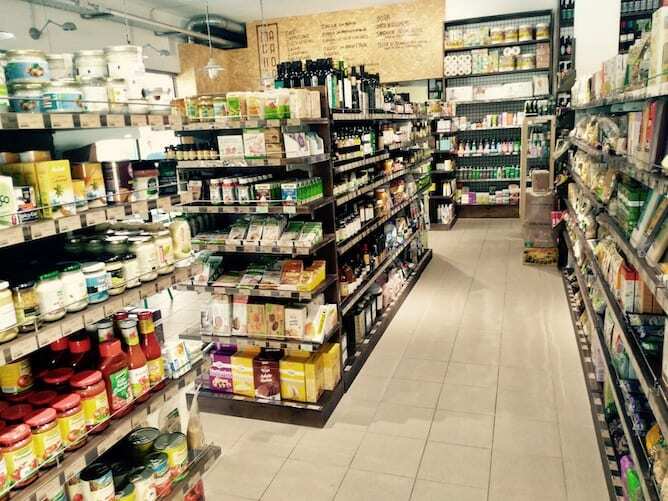 The store has two sections: one section is full of vegan products such as tofu, seitan, rice milk, cookies, fresh produce and even cleaning and self-care products. 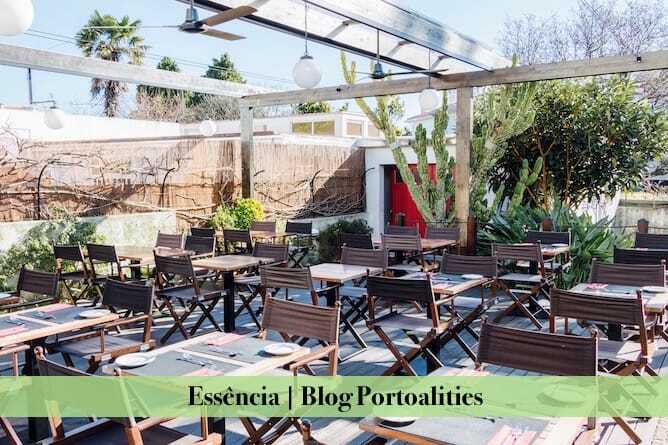 Another section is the seating area where you can sit down to have some coffee, tea, juice sandwiches, quiche or even pasteis de nata (which are yummy by the way). 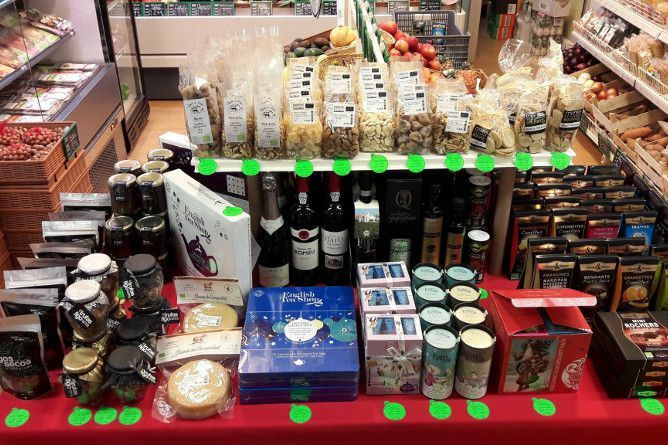 The place is small and humble with a great selection of products and even a greater cause. It’s worth to stop by for a quick bite or some shopping while you’re in the area. 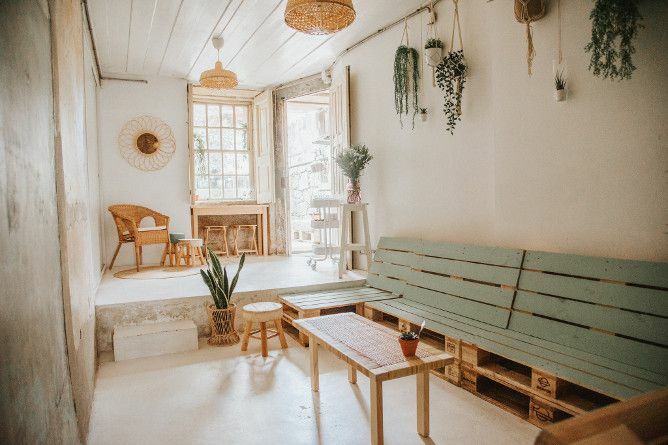 If you want to try out a vegan pastel de nata in Porto, your chance is now at Vegana by Tentúgal! How to get there: 24 de Agosto subway station is a 6min walking distance. 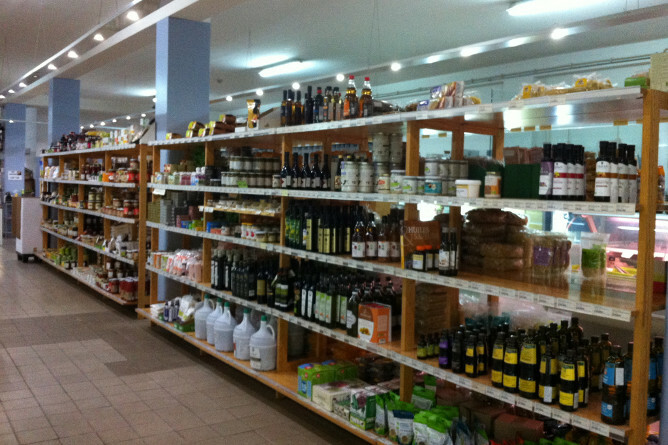 Ideal Bio is a nice biological store for those who are staying in the Boavista area. 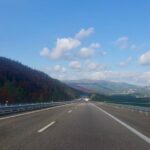 This is a great place to stock up on everyday easy meals/snacks, wine, tea, drink, produce, cereal/oats/chia in bulk and so on. 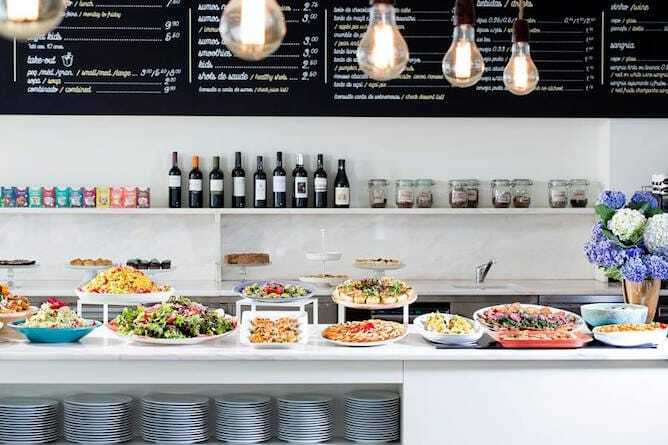 Besides their vast organic collection, they have vegan, vegetarian and gluten-free options. Sometimes they have food samples in-store. How to get there: Casa da Música subway station is a 3min walking distance. Funkybio is a store that sells 100% certified organic products. This is a great supermarket to shop in thanks to its friendly atmosphere. 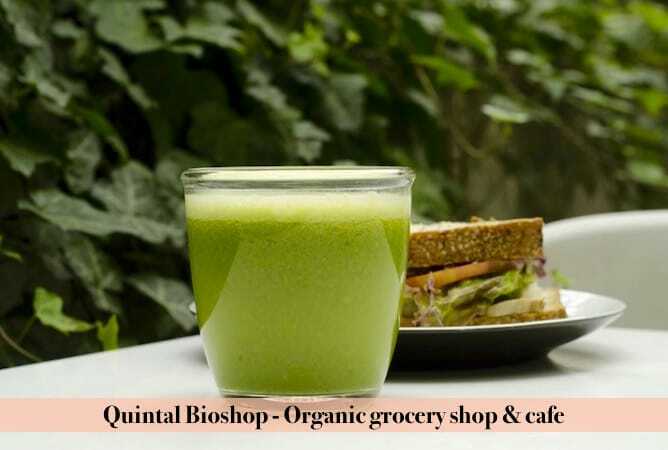 The store has a wide selection of refrigerated food, produce and organic cleaning supplies. It has an impressive selection of items I haven’t seen anywhere else like blocks of organic lactose-free goat cheese and vegan protein powders with environmentally-friendly packaging. If you can’t make it all the way to Foz, Funkybio has home delivery. How to get there: take bus 203 from Casa da Música subway station and stop at Crasto.